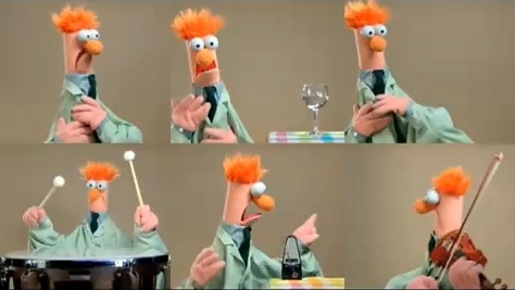 The Muppets’ “Ode to Joy” music video, featuring Beaker from the Muppets, has been nominated in the music category for online film and video in the 13th Annual Webby Awards. “Ode to Joy” raced to more than 2 million views in its first two weeks of release in July 2008 and currently boasts over 5 million views. “Ode to Joy” is the result of a creative collaboration between Soapbox Films (director Kirk Thatcher and producer Kris Eber) and Disney’s The Muppets Studio to produce original content exclusively for online video sharing sites. Strategically positioned as user-generated content created and uploaded by the Muppet characters themselves, the videos entertain worldwide on sites such as YouTube, MySpace and Vimeo, with a total view count of over 9.5 million to date.